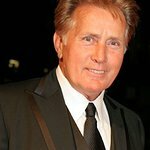 In a robocall released this week by People For the American Way, Wisconsinites are hearing from Martin Sheen about Senator Ron Johnson’s obstruction of President Obama’s judicial nominees. The recording, which is being delivered to activists in Wisconsin, asks voters to contact Senator Johnson and demand that he fulfill his constitutional duty to give fair consideration to President Obama’s nominee to the Supreme Court. “Our Constitution is very clear about what happens when a vacancy occurs on the Supreme Court,” says Sheen in the recording. "It says the President shall nominate a new judge, and that the Senate will give that nominee fair consideration. “As you’ve heard, Republicans are playing politics with our Constitution and with the Supreme Court. Senator Ron Johnson has said he doesn’t think that Congress should even give a fair hearing to anyone nominated by President Obama.